I'd like to welcome and introduce my newest sponsor, Southern Fabric! Southern Fabric is an online shop offering all sorts of fabric goodness, including a wide variety of pre-cuts as well as sewing patterns and more. They've been in business for over 7 years and specialize in customer service. 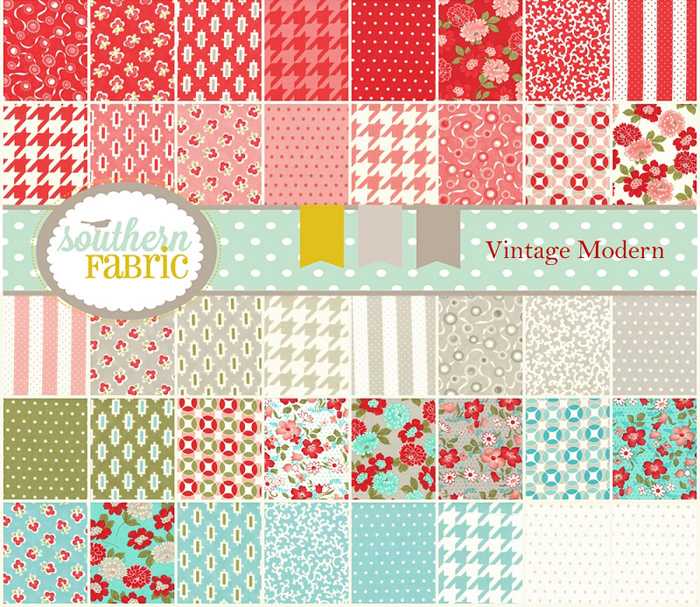 Southern Fabric is giving away this super cute Vintage Modern charm pack by Bonnie and Camille / Moda Fabrics to one of you! To enter, simply check out their store and leave a comment below with your favorite item. They are also generously offering my readers a discount code good for 10% off your purchase through Thursday, May 24th, 2012. Enter 'lbgstudio10' at checkout. make sure that I have a way to contact you - including your email address in your comment would be best! For a bonus entry, "like" Southern Fabric on Facebook and leave a separate comment letting me know. I really like the Redwork Rennaisance collection. I love all sorts of layer cakes! They are so versatile! Great site! Thanks for the link!! Such pretty fabric! My favorite is the Salt Air line, the jelly roll! I'm going to be spending some time on this adorable and full of goodness website! I like the Peggy Sue pattern. thanks for the chance! I love the houndstooth fabrics! It's all very pretty! I really love the London fq-bundle! Great to discover a new shop! I found a new-to-me set I really liked, "Tend the Earth." Funny enough, I love Vintage Modern! Any fabrics by Bonnie & Camille are always a favorite in my book. Thanks for the giveaway! I also liked Southern Fabric on FB. I am like the Vintage Modern Floral Vintage Natural Cream from their shop. Thanks for the giveaway! I of course love all the fabric but the Maya Mod Kids pattern caught my eye while I was browsing around. I would love to make those for my girls. I love the Circa 1934 Collection! I already own some of them. I love the fool on the hill pattern. Great! I have a major weakness for Amy Butler patterns. I would choose the Weekender Travel Bag pattern. Thanks to you and this awesome sponsor! I love their selection and that they have scrap bags but I'm thinking about the Deer Valley jelly roll since I'm late on the boat on that one. Thanks for the giveaway. I love Deb Strain's Tend the Earth layer cake! Lots of great precuts and yardage at the Southern Fabric site! Thank you for the introduction to them and the sale coupon. I've liked Southern Fabric on Facebook too. Love all their fabrics I really like the vintage modern and the reunion lines! I love it all!!! I also "like" Southern Fabric on Facebook. Lots of beautiful fabric! Would love to have a Aviary 2 Lilac Jelly Roll! Thanks for the chance to win! Looks like a great shop, I love the salt air line. Thanks for the chance! I love bags and the roomier the better!! 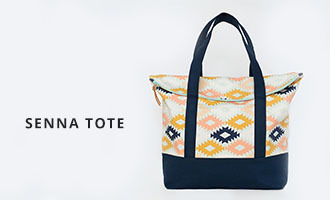 So love the Spice Market Tote Sewing Pattern by Amy Butler! I still love the Reunion and Hometown collections by Sweetwater. Very cute giveaway! I like Lark. I am loving the Salt Air Layer Cake! LOVE the Aviary 2 in Saffron bundle! 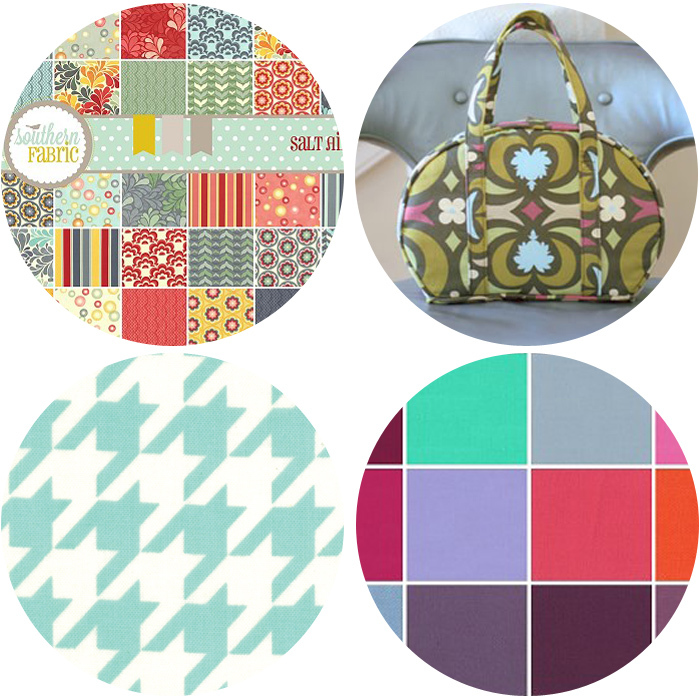 Love the Lark fat quarter bundle! I love love LOVE the California Girl line....I've been drooling over the layer cake all afternoon!! What a great giveaway! Perfect for all my summer projects I have planned. I'm a huge fan of Salt Air by Cosmo Cricket. Thanks for the giveaway!! i LOVE the Hometown collection. does it count it's my B-day this week...? There are so many yummy fabrics: hometown, circa 1934 and on and on!! Mmmmm! I'm loving the look of Vintage Modern, such a great fabric line. Thanks for the lovely giveaway. liked southern fabric on Facebook. I "liked" Southern Fabric on Facebook!! The Papillon Fat Quarter Bundle is my fav. Thanks for the chance to win. I've liked Southern Fabrics on facebook. Thanks for the giveaway. I must get around to making one of Amy Butlers bags, Southern Fabrics have a great range of patterns and fabrics, thanks for sharing with us. I love fabric! Give me some! I love the Reunion Precuts! I "liked" southern fabrics on FB! "like" Southern Fabric on FB! I would LOVE to win this collection - the colors are so cool! My fav is Ooh La La! Loved the Londo FQ bundle! Yay.. Liked them on FB to..
My favorite is Good Fortune by Kate Spain! i like the McKenzie Vine Aqua. i haven't seen that before, and it looks like it would make such a sweet little girl's dress. Aviary remains one of my favourite fabric lines! Anything with hounds tooth catches my eye! Fun! I'm loving the Aviary line!! I liked SF on FB!! I adore the Papillon collection!!! Another great site with lots of eye candy! I'm loving of course all the fabrics but also the Daisy Girl Backpack. Also the pattern Shuggle Buddies. Too cute. Thank you and Southern Fabric for a great giveaway and a chance to win. I Liked Southern Fabric on FB. Left some comment love as well. hehe. 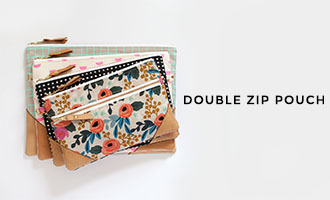 I really like their daisy chain daisy bouquet forest fabric! I like most the Liverpool Patter by amy B. Thanks for the chance! like on FB Souther Fabric!!!! I am partial because I have a daughter with the same name, but the Ruby line is my favorite. I love the colors in the Aviary 2 Saffron 1 Yard Bundle collection! Love, love, love the McKenzie Vine Aqua right now! This is a great giveaway. Love the fabric. I love the vintage modern floral aqua. I have also like Southern Fabric on facebook. I was blown away by their Salt Air collection, so beautiful! The Vintage Modern is equally as eye catching, oh the things I could make! I am loving all of the Amy Butler prints! I love the huge selection of solids, and the seach by collection function rocks!